Information found within should not be used for making financial or other commitments. 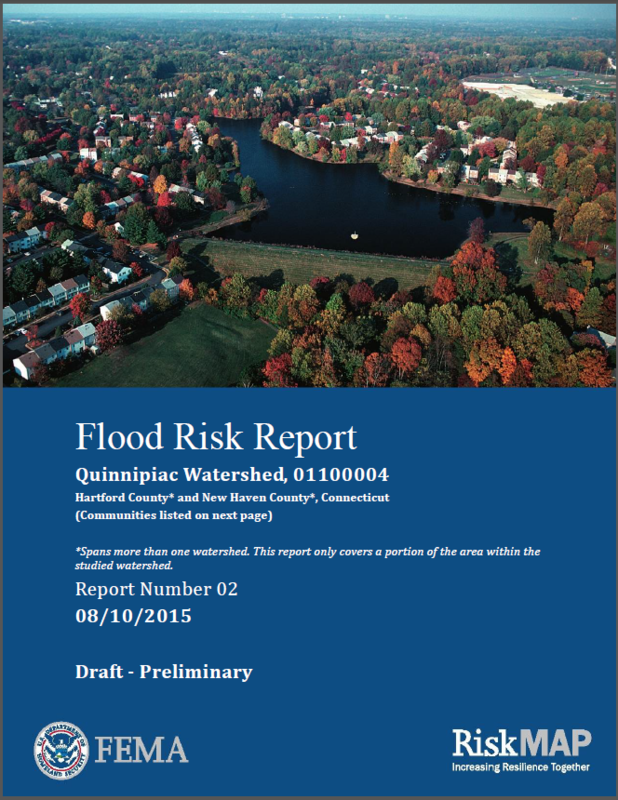 The Town of Cheshire provides this information with the understanding that it is not guaranteed to be accurate, correct, current, or complete and conclusions drawn from such information are the responsibility of the user. 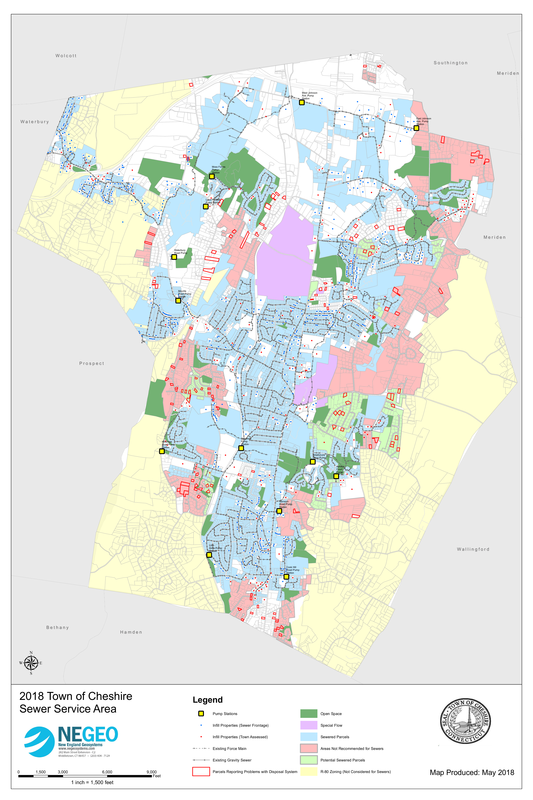 While every reasonable effort has been made to ensure the accuracy, correctness, and timeliness of the maps presented, The Town of Cheshire assumes no responsibility for errors or omissions. 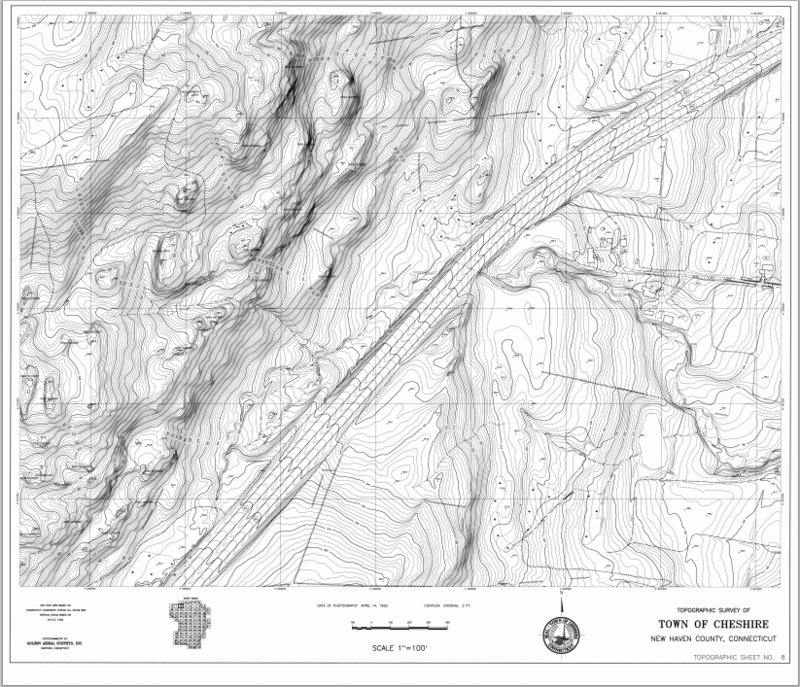 Click to have the option of saving a Topo Map. 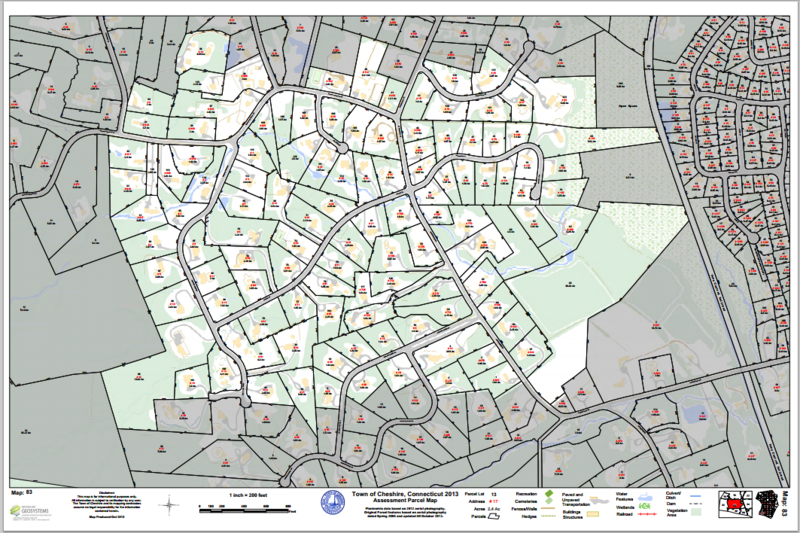 The Street index map was developed with the assistance of the Public Works department. 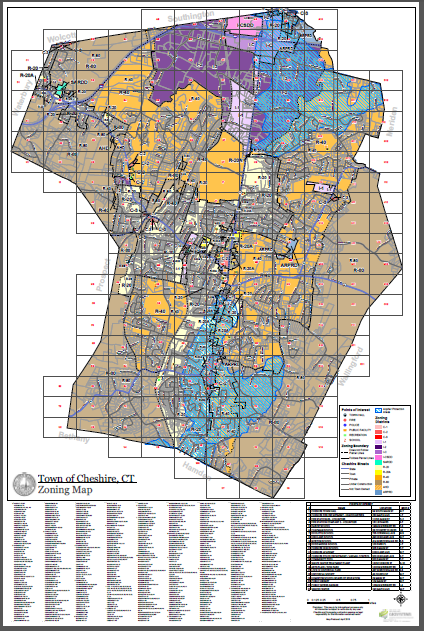 The two versions (Color and Black-White)of Zoning Maps were developed with the assistance of the Planning and Zoning department. 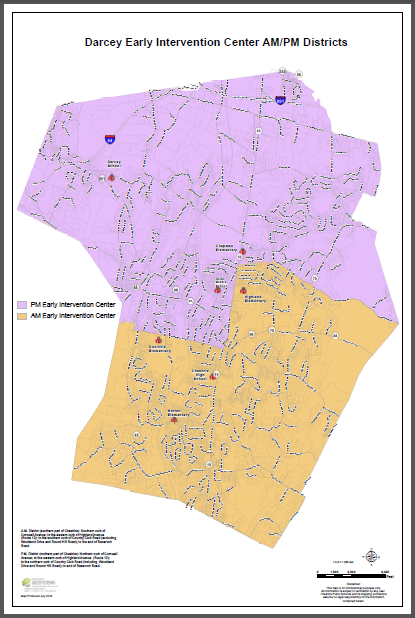 The Local Voting District map was created for The Registrar's Office. 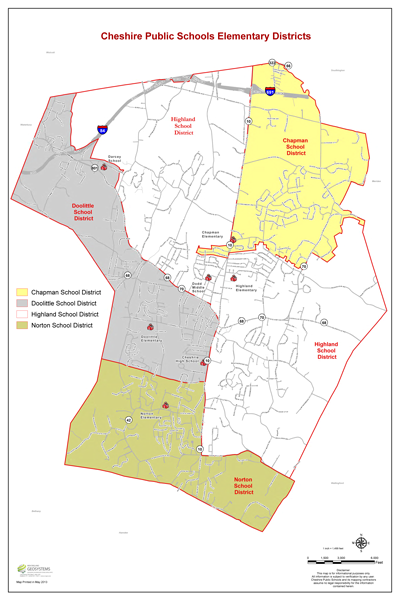 The Public Schools Elementary Districts Map was created with the help of Cheshire's Board of Education, Transportation Department. 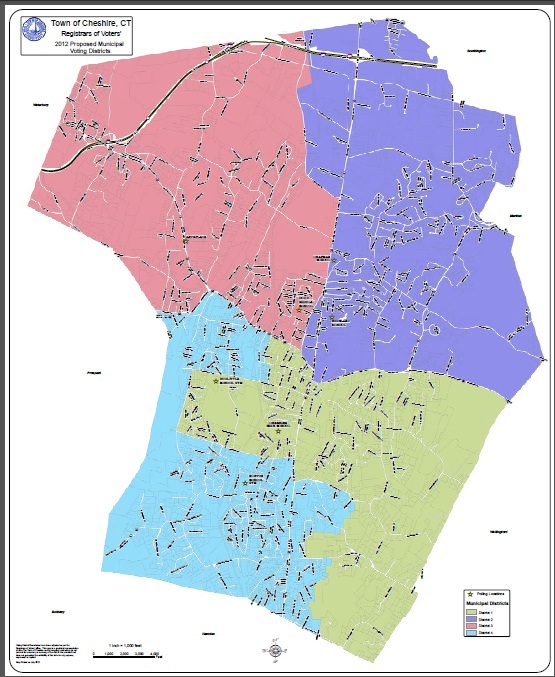 AM/PM Districts Map was created with the help of from Cheshire's Board of Education, Transportation Department. 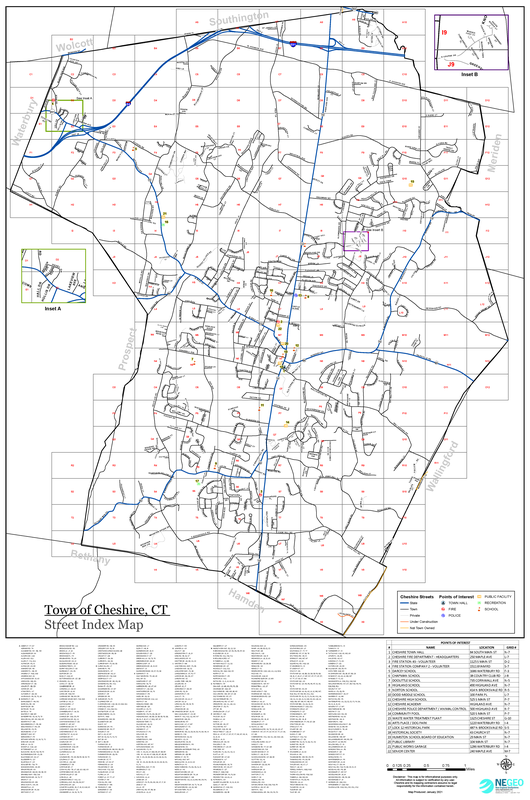 The Sewer Service Area Map was created with the help of Cheshire's Engineering Department. More maps will be posted as they are created or updated.